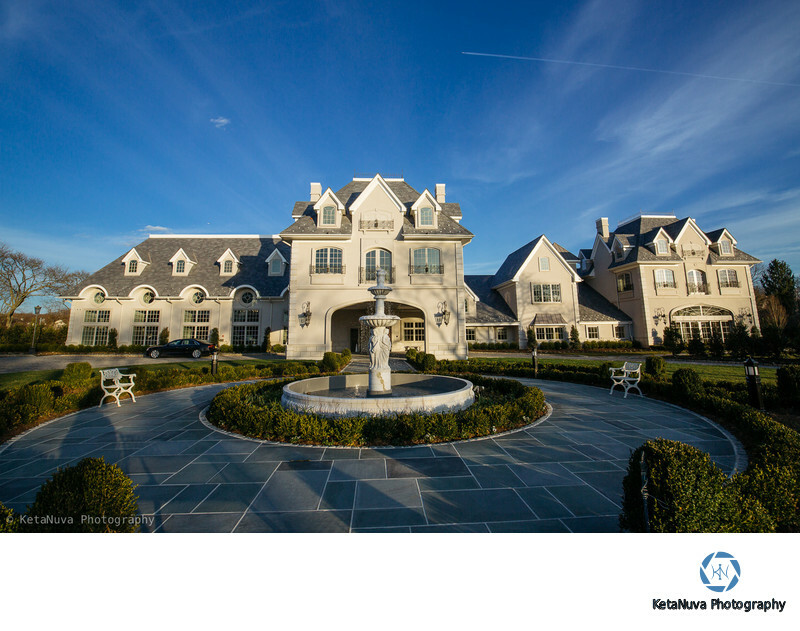 Park Chateau Estate in New Brunswick, NJ is an absolutely gorgeous venue with lots of lovely spots to take beautiful wedding photos. 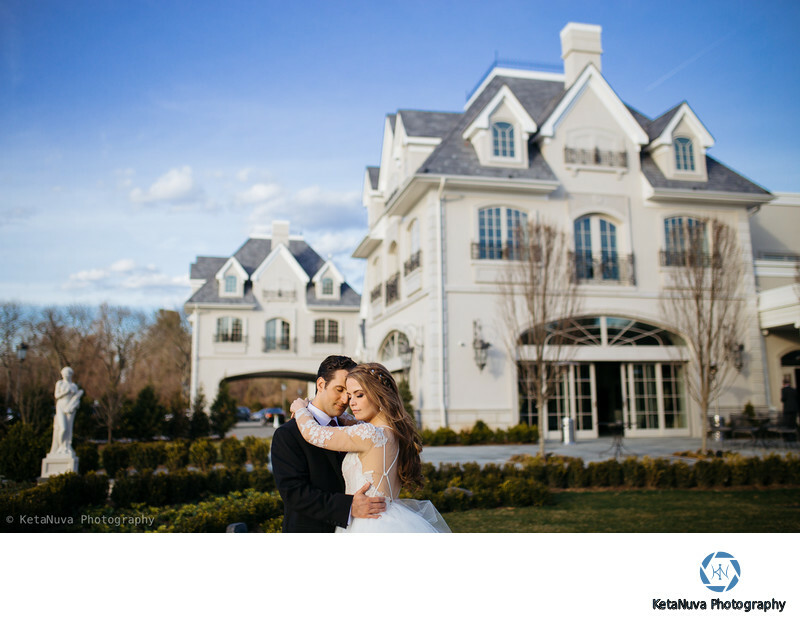 This is a brand new venue venues in the NY-NJ territory, and we feel fortunate to have had the opportunity to document Sara and Bryn's wedding at this fairy-tale estate. Ever since the engagement shoot of Sara and Bryan, we were looking forward to meeting them again; and we were awestruck when we arrived at Park Chateau! 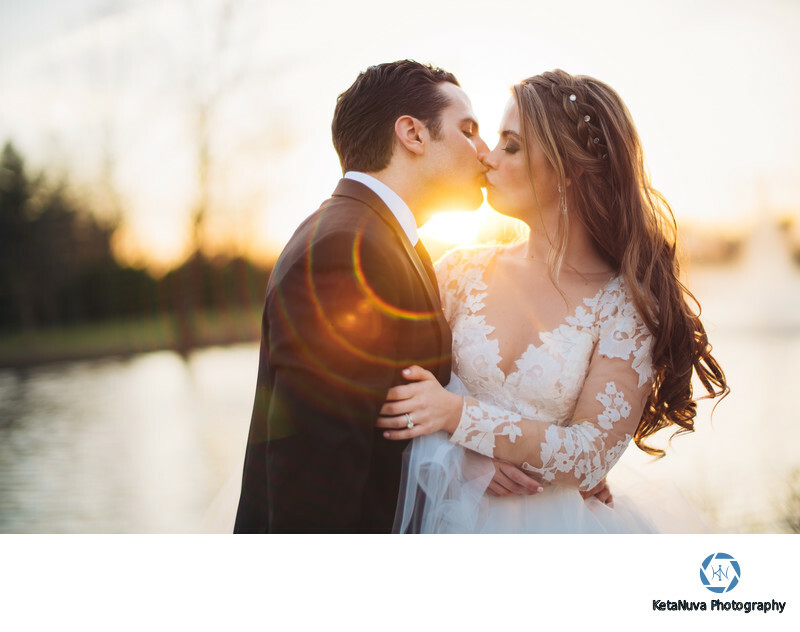 Located midway between New York city and Philly, Park Chateau Estate is the perfect location for couples who want to host their wedding in a whimsical setting. The classical French architecture along with the beautiful gardens made Park Chateau an instant favorite for us to shoot in. In addition to the beauty of the location, the staff are extremely friendly, and ensure that all the wedding festivities run smoothly and on time. The venue has two exquisite bridal suites. 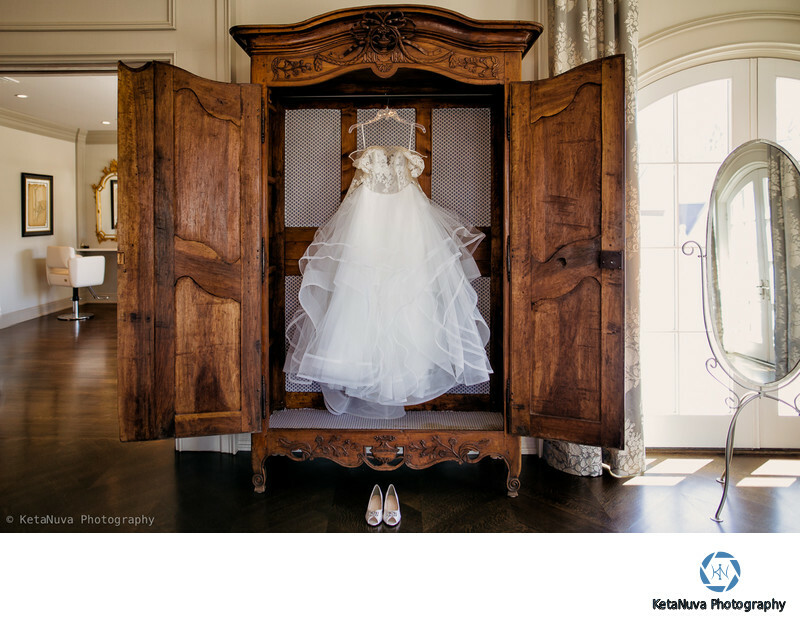 The spacious rooms allow plenty of sunlight to seep through the panoramic windows, making it an ideal setting to get some lovely getting ready photos using natural light. The portraits in the room look light airy and vibrant. Here is a picture of Sara's gorgeous wedding dress. The sheer space allowed us to take photos with cleaner, brighter and more elegant look to the photos. we had a great time talking to and taking photo of the brides maids and the mothers during this getting ready phase. Outdoor portraits are, of course, one of our favorite segments of the wedding day. In Park Chateau, we utilized the gardens, the gazebo and the lovely lake to get some beautiful golden hour portraits of Sara and Bryan. The grand ballroom has a very opulent chandelier. We just had to take some portraits of Sara and Bryan there! The chapel inside the estate is another gem. The florists in this case did a splendid job, and we had a lovely spring aura inside the chapel. Below are just some of our favorite photos that we took, taking advantage of the various breathtaking corners of Park Chateau. 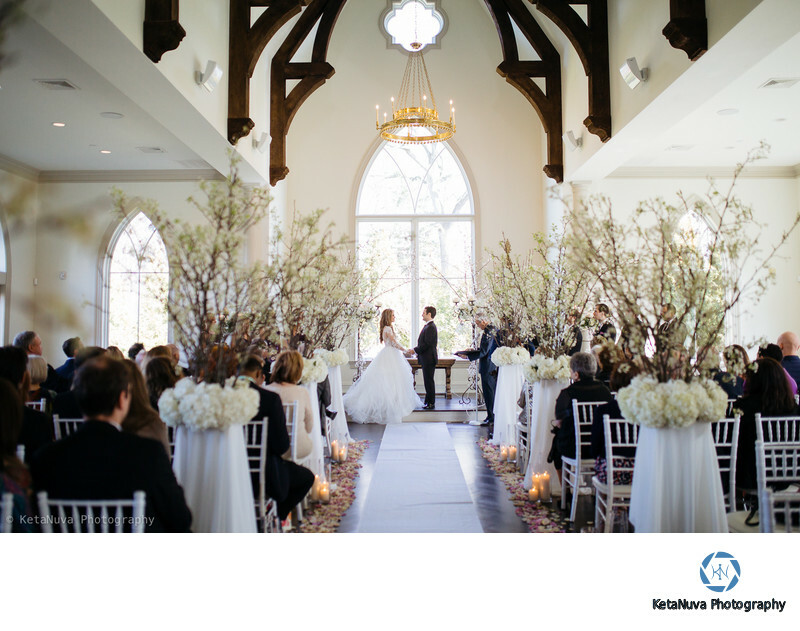 Here is a picture of the whimsical, almost fairytale like wedding ceremony inside the beautiful chapel of Park Chateau. It was a heart touching ceremony indeed! Here is a wide angle shot taken from the front of the estate. Here is a photo of the grand ballroom. 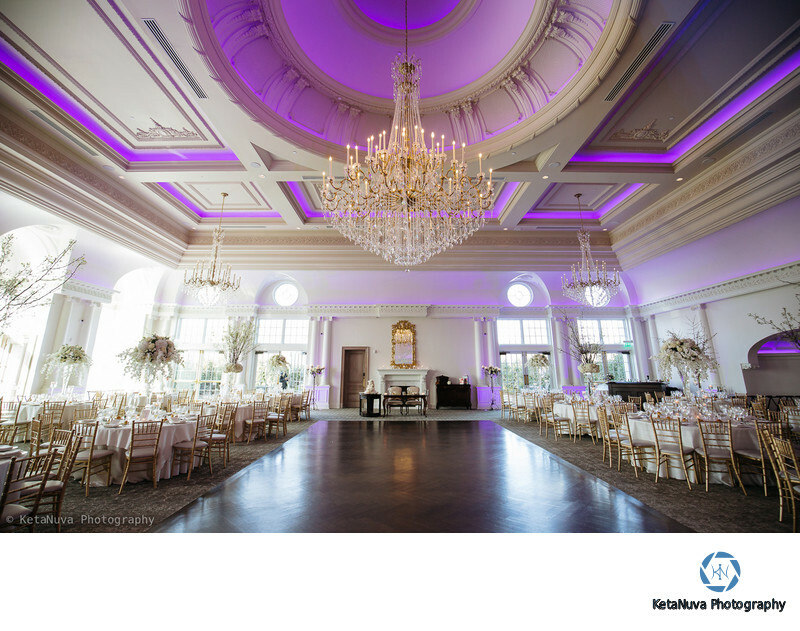 When the owners of the estate named it ballroom, they certainly made sure to justify adding the adjective 'grand'!